This bike is, without question, my personal favourite build yet from The Wrenchmonkees. 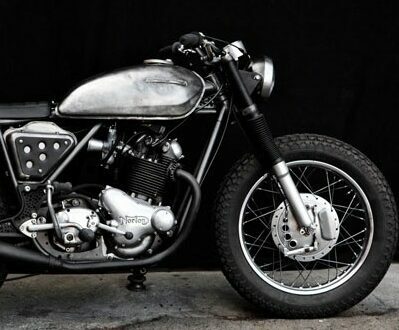 Based on a Norton Commando the minimalist, industrial style appeals to me. Probably because it looks exactly like a stripped down racer you’d have seen parked en masse outside the 59 Club in the 1960s.